The legendary Bullet 350 need no introduction. 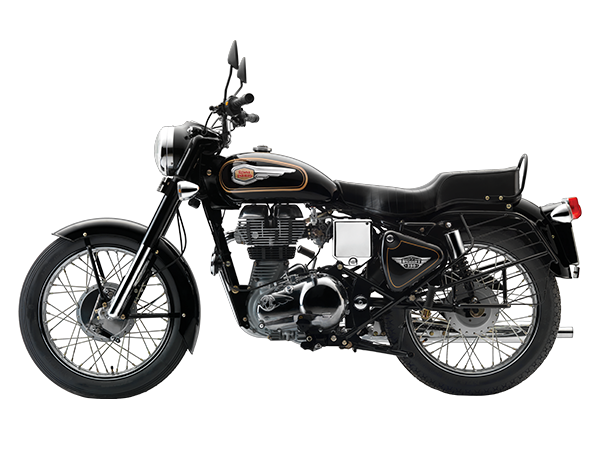 Now Bullet 350 is with all new Unit Construction Engine. This classic machine has kept pace with advances in engineering and ergonomics without diluting its impeccable pedigree. A long wheel base and bigger tyres provide increased stability and road grip, making it ideal for long distance travel.Its aristocratic black & gold livery and thumping engine beat remind passers by that they are in the presence of automotive royalty.